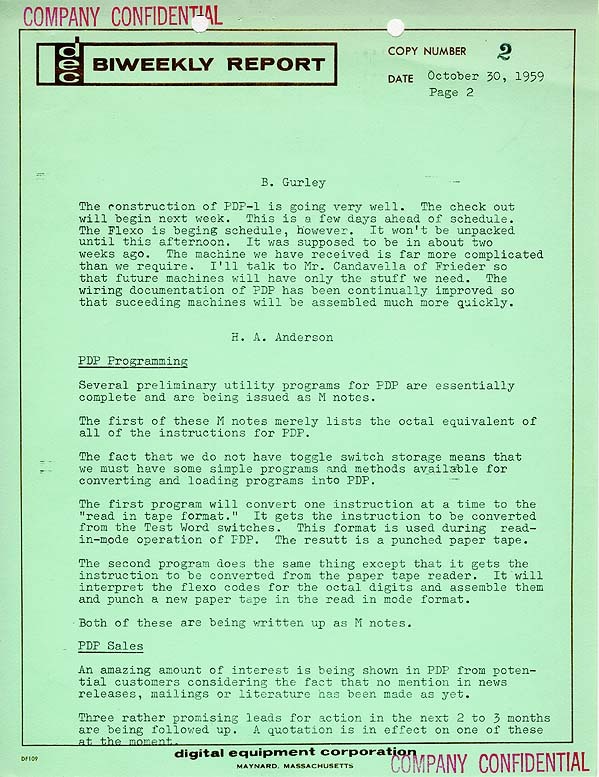 The archival documents below tell the story of the development of DIGITAL's landmark first computer, the PDP-1. Using DIGITAL's own initial product, laboratory modules, engineer Ben Gurley designed a high-speed, solid state digital Programmed Data Processor which could operate with many types of input-output devices and no internal machine changes. As the world's first commercial interactive computer, the PDP-1 was used by its purchasers to pioneer timesharing systems, making it possible for smaller businesses and laboratories to have access to much more computing power than ever before. Below: Biweekly Report, October 30, 1959. Ben Gurley and Harlan Anderson detail progress on the PDP-1's construction, programs, and potential customers. 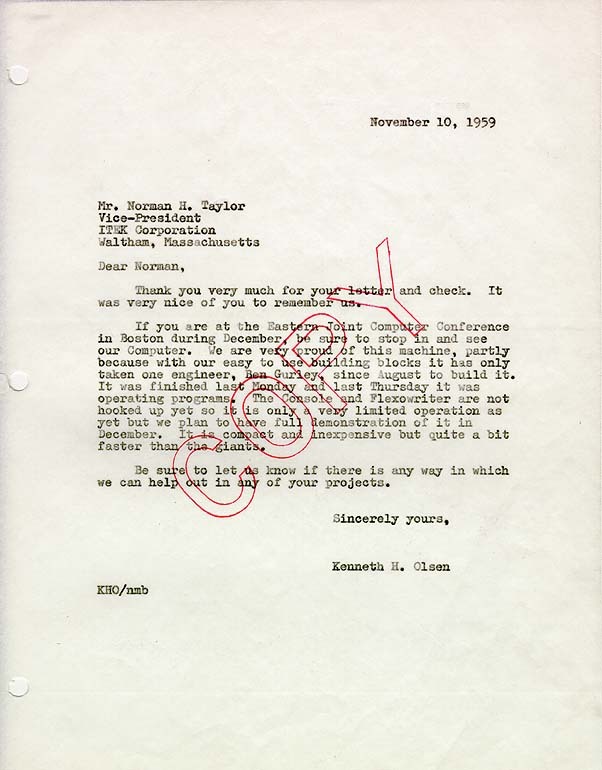 Below: Letter from Ken Olsen to Norman Taylor of Itek, November 10, 1959. 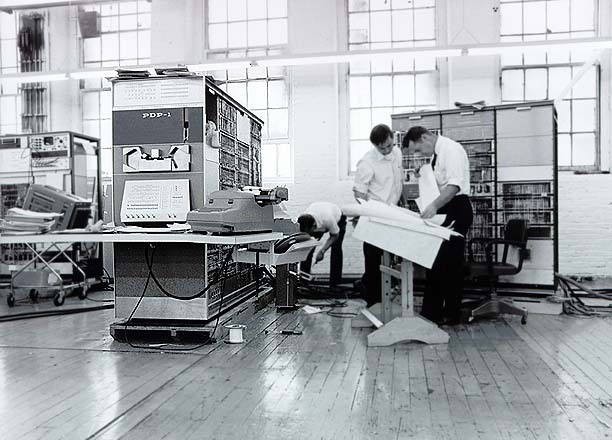 Itek bought the second PDP-1 for use in electronic drafting, the world's first use of a CAD application. Below: Datamation, November/December 1959, vol. 5, no. 6, p. 24. The article outlining the many features of the new machine generated much advance interest in its appearance at Boston's Eastern Joint Computer Conference. 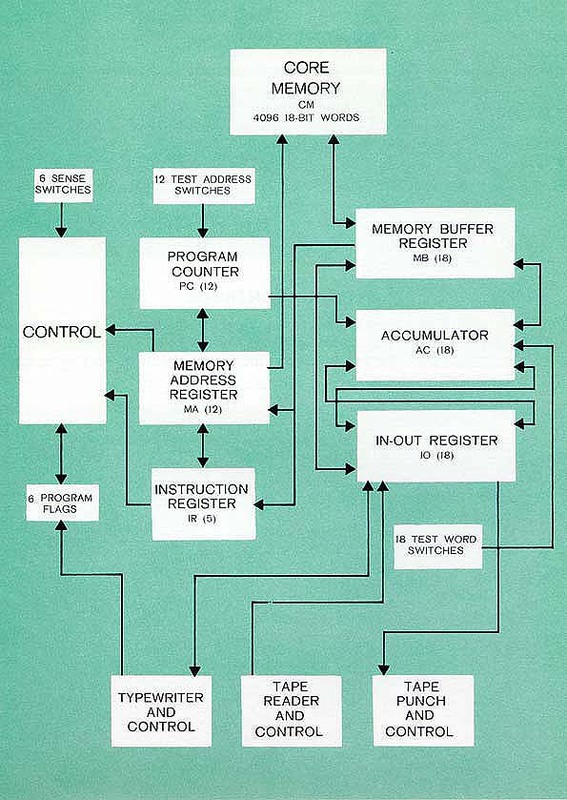 Below: Logic organization of the PDP-1, PDP-1 Handbook, p. 9. Although the computer could be used for many different and sophisticated purposes, its relatively simple organization enabled it to be sold with a handbook only 72 pages long. 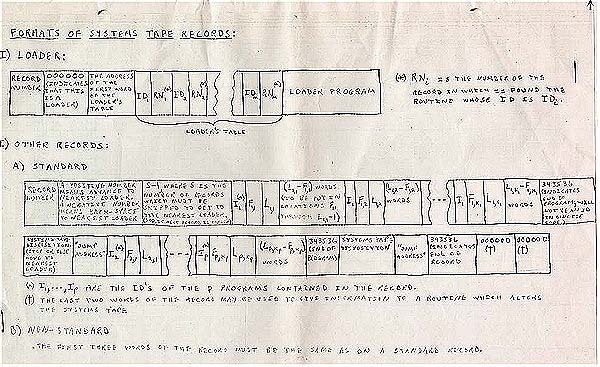 Below: Systems tape record formats for PDP-1 loader program. Below: Biweekly Report, September 16, 1960. Gordon Bell, who had started at DIGITAL that June, demonstrates his full immersion in efforts to market the PDP-1 to appropriate customers and to provide programs and documentation for the machine. 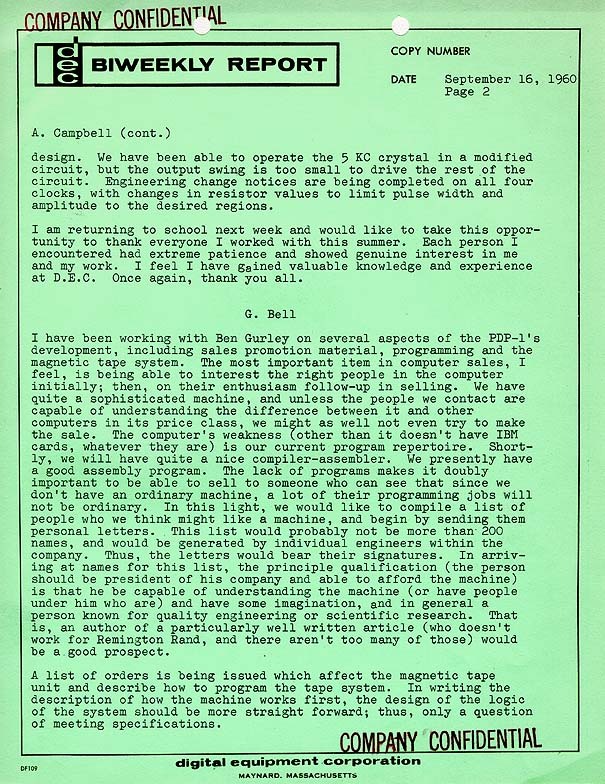 His comparison of the PDP-1 to the Volkswagen beetle is apt: the low-cost, high-performance PDP-1 redefined the computer as an affordable and accessible tool instead of as one available only to big business, big government and big science. 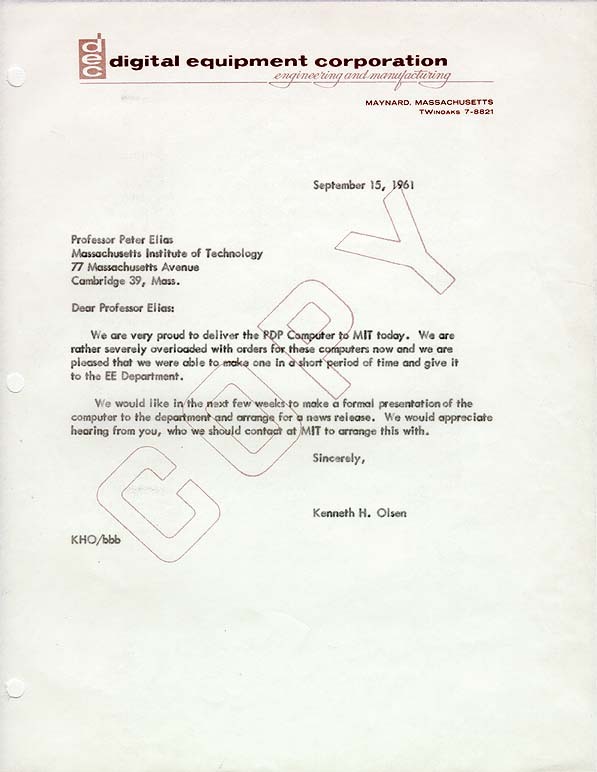 Below: Letter from Ken Olsen to Prof. Peter Elias, MIT, September 15, 1961. 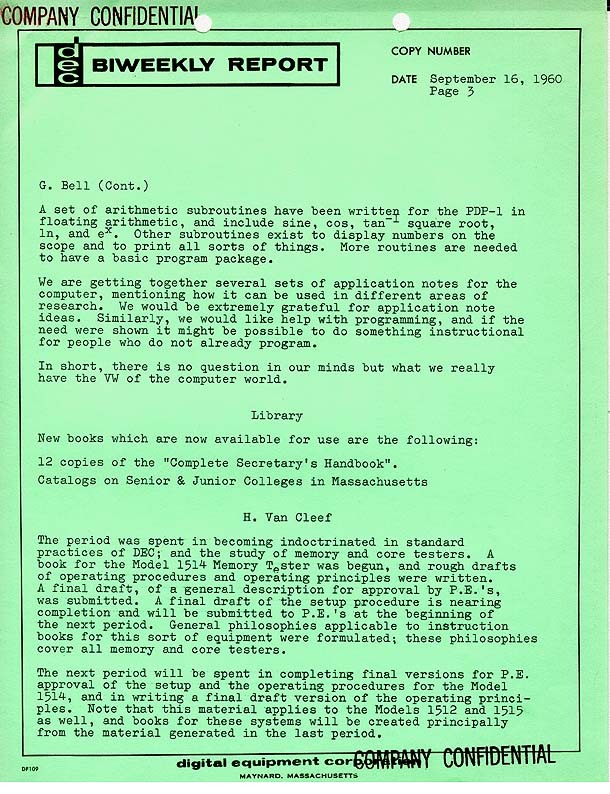 The gift of a PDP-1 to the Electrical Engineering Department at MIT began a policy of supporting academic programs and institutions which prepared students for work in computing. The PDP-1 was immediately put to many varied uses, such as setting up the world's first timesharing network and the creation of one of the first ever video games, "Spacewar!". 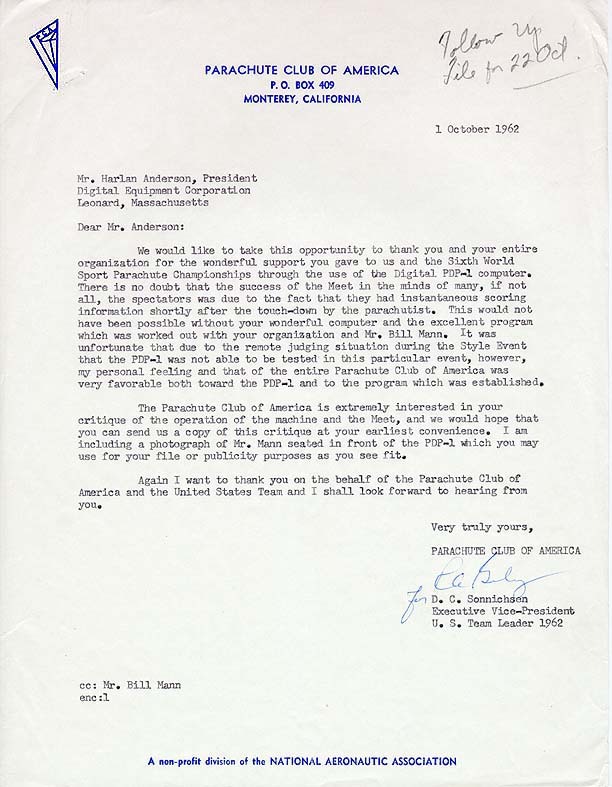 Below: Letter from D.C. Sonnischen, Parachute Club of America to Harlan Anderson, October 1, 1962 and photograph of PDP-1 tent at the Sixth World Sport Parachute Championships. 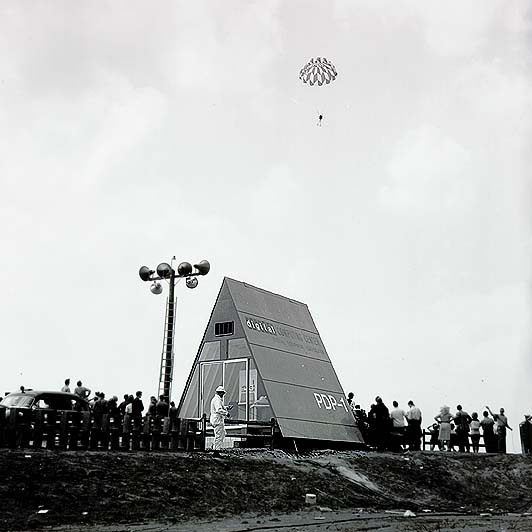 This innovative use of the PDP-1, demonstrating its portability and versatility, was no doubt one of the first instances of computerized scoring at a live aerial event. 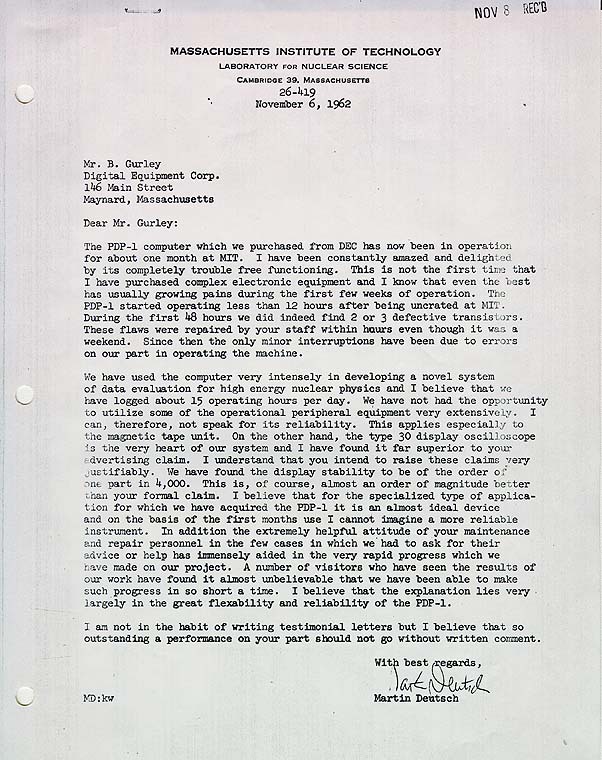 Below: Letter from Martin Deutch, MIT to Ben Gurley, November 6, 1962. 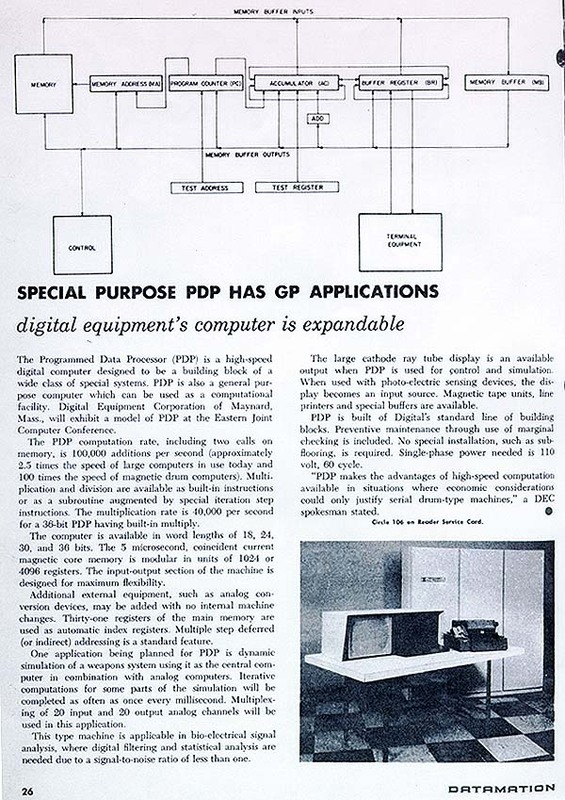 A description of a successful, specialized application more within the scope of what the PDP-1 was designed to do. 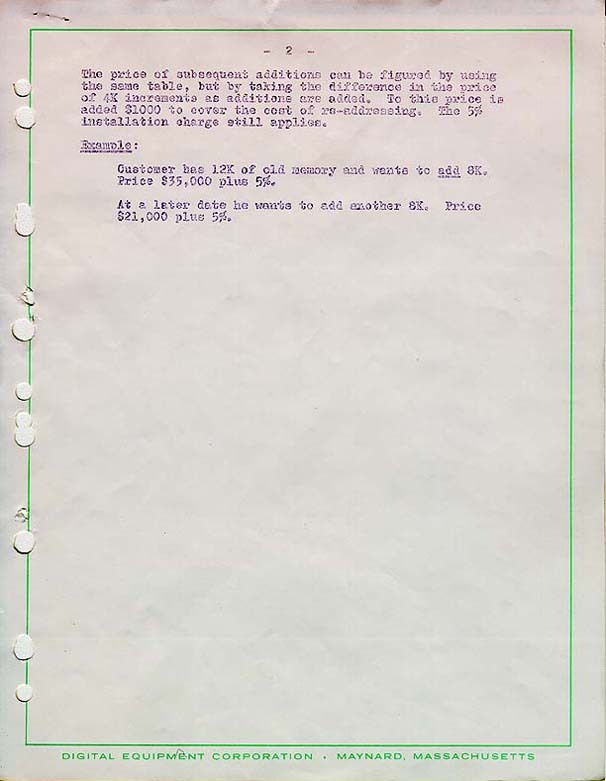 Below: Memorandum to Sales Personnel, September 13, 1963. 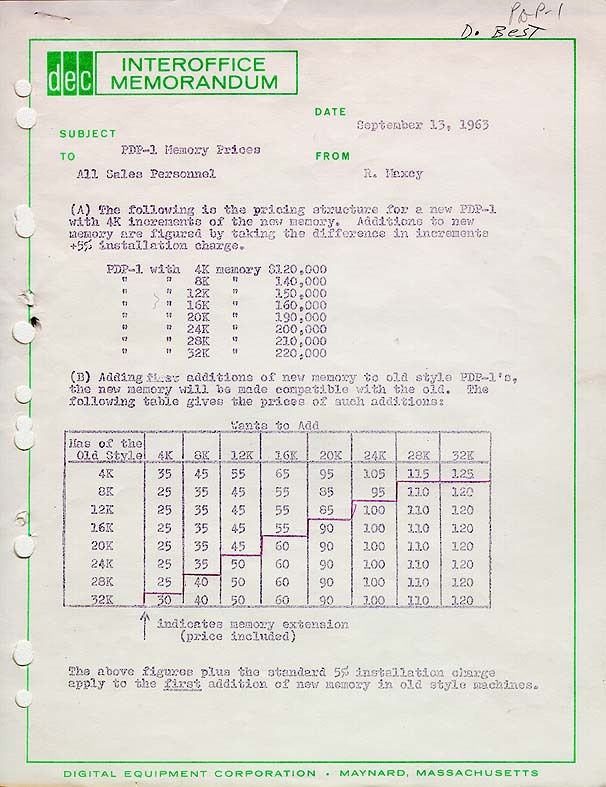 Price list for PDP-1 memory expansion.